Wellness with Penny | Empower Yourself From The Inside Out: What's in this 500 calories of healthy yumminess? 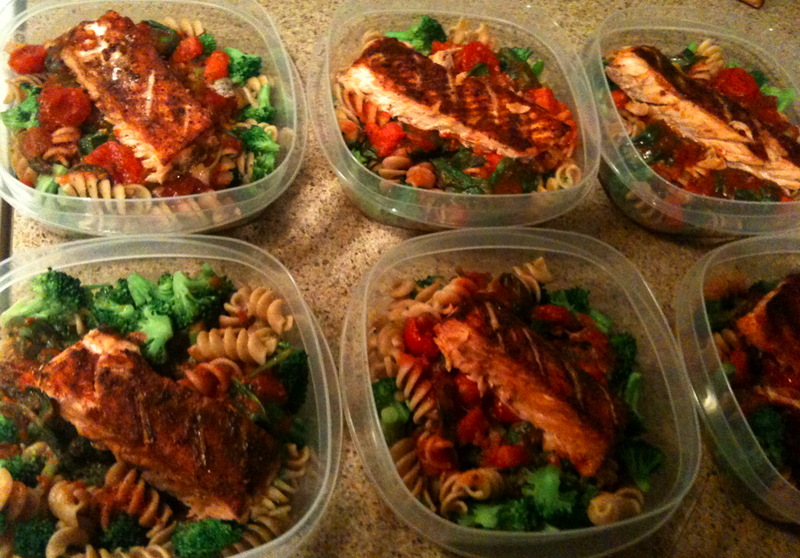 Prepped a client's meal for his weight loss program: Rotini pasta in spicy tomato sauce, mixed vegetables and wild salmon. Easy to make, delicious, nutritious and filling. All for only 500 calories. 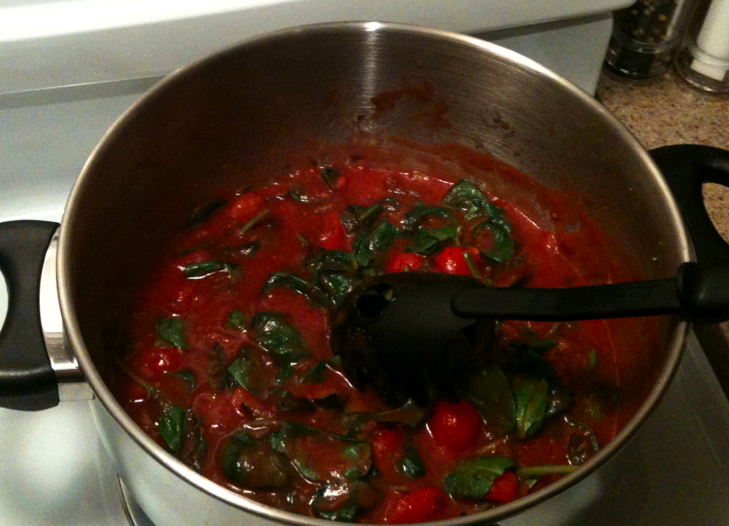 Add vegetables to the sauce. Today, there are so many healthy options readily available when it comes to adding flavor to your cooking. Look for low sodium and zero fat. Herbs and spices are the best way to go. Try the Mrs. Dash brand of spices; great variety of choices all sodium free, zero fat, and tasty! Healthy weight loss is dependent on many factors; one of them being your daily calorie intake. The very "general" rule for weight loss (based on light physical activity, three meals and two snacks per day) is to keep your meals at approximately 500 calories and snacks at 100 calories. To get a more specific read based on your height, current weight and level of physical activity, use this Calories Per Day Calculator. For more healthy weight loss meal tips, click here.